The Windows and French doors are installed in the Alhambra Circle Blvd. of Coral Gables Florida. Manufactured in 2003, the Mahogany casement windows where designed to enhance and compliment the Historic nature of the Coral Gables exclusive classical Miami neighborhood. 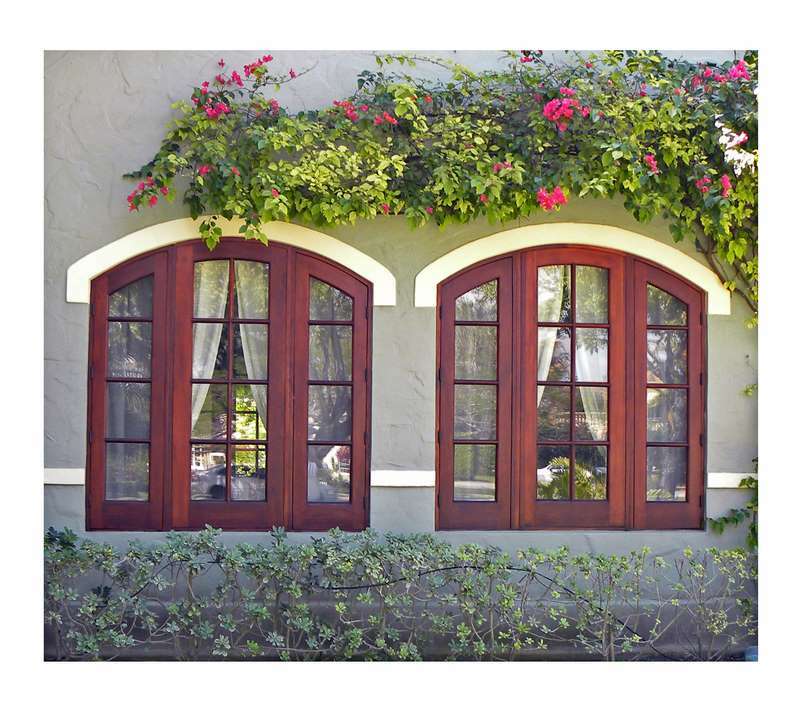 Elliptical, single leaf Mahogany Casement Window with 2 side glass panels. Fitted with 2 "Cremone Bolts" that operate a hidden locking Mechanism in the active sash and a 2 point hidden system in the inactive.